We are less than two months away from the 2019 International Day of Light (IDL). In preparation for this annual event, we will be revisiting our 2018 IDL SPIE Micro Grant winners from around the world, showcasing celebrations of IDL in their communities. 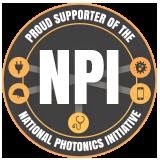 Each year, SPIE provides IDL Micro Grants to SPIE Members who want to celebrate the importance of light and share that knowledge with their community. These activities must take place during the month of May and tie directly to the cross-global festivities held on the 16th of that month. You can learn more here. This week we travel the United States coast-to-coast, visiting HoloCenter in New York City and Sumner Middle School in Sumner, Washington. Gilles Freddy Feutmba is a Student Member of SPIE and the next community member to answer our 'Why Light?' series. The series is leading up to the second annual International Day of Light this 16 May, and asks members of the SPIE community to explain why they feel light is so important. Gilles is PhD Candidate at Ghent University working on the dense integration of ferro-electric Lead Zirconate Titanate (PZT) based silicon phase modulators for diverse applications ranging from LiDAR to displays. He is also Vice President of the university's SPIE Student Chapter. He is an active Member of SPIE, serving on the Membership and Communities Committee, as well as the Student Chapter Subcommittee and the Student and Early Career Professionals ad hoc Committee. He answers for us what light means to him and to the greater global community. In preparation of the second annual International Day of Light this 16 May, we asked members of the SPIE community to explain why they feel light is so important. Today, 8 March is also International Women's Day. So to kick off this year's 'Why Light?' series and to celebrate IWD2019, we spoke with SPIE Fellow Dr. Kyle Myers, director of the Division of Imaging, Diagnostics, and Software Reliability in the Office of Science and Engineering Laboratories, at the Center for Devices and Radiological Health at the US Food and Drug Administration. She is an active Member of SPIE, advocating for women in optics within her various roles with the organization and in the greater optics and photonics community. She answers for us what light means to her and to the greater global community.